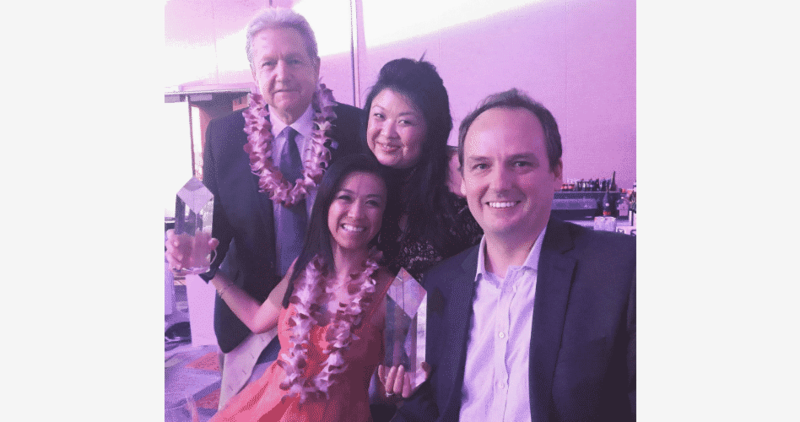 On January 23, 2018, the telecommunications industry gathered for the inaugural Pacific Telecommunications Council (PTC) Innovation Awards ceremony, a special gala at PTC’18 in Honolulu, recognizing outstanding individuals and organizations that are making a difference. One award that drew a lot of attention this year was “Best Networking Innovation,” which went to PacketFabric, a NantWorks company, for its on-demand transatlantic Connectivity-as-a-Service (CaaS) collaboration with Aqua Comms DAC (“Aqua Comms”). PacketFabric also took home “Best Application/ Service Innovation” for its CaaS solution.